What starts out as a simple fight can escalate quickly. An incident can transform from words being thrown around to fists flying or weapons being drawn. As a Violent Crimes Defense Attorney New Orleans, we can help navigate the situation. Whether you were involved in a bar fight or a quarrel between partners, criminal charges for Battery, aggravated assault or domestic violence can have a significant impact on your future. When so much is at stake, it is critical to have an experienced criminal defense attorney on your side. We will work diligently in establishing your defense. We take great attention to detail in reviewing evidence and identifying and interviewing witnesses. 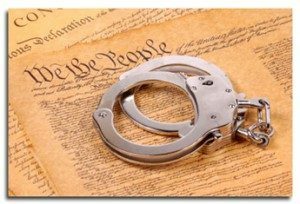 We will analyze the conduct of the investigators and arresting officers to ensure that everything was done within your rights. No matter how serious the alleged crime is, the authorities must abide by the law. If a confession was obtained illegally, we work hard to get it suppressed from the record. Arrested After a Bar Fight? Don’t Talk to the Police. If you are charged with a violent crime, it is in your best interest to exercise your right to remain silent. Simply put: Do not talk to the police if they arrest you. Providing any information to them without the benefit of legal counsel could damage any defense established for you. Aggravated battery is a battery committed with a dangerous weapon. Whoever commits an aggravated battery shall be fined not more than five thousand dollars, imprisoned with or without hard labor for not more than ten years, or both. Because of the severity of the crime, law enforcement in all parts of the seven-parish Greater New Orleans area take charges of battery, domestic abuse battery, assault, and aggravated crimes very seriously. If you have been charged with either of these crimes anywhere in the New Orleans – Metairie – Kenner area, including the Northshore and River Parishes, The Weiser Law Firm can help you preserve your innocence and your good name. Contact Us for a Free Consultation at 504-358-2273 or 504-220-9086.